him: I have decided that my socks are better because I do not have to look and see which is for the left and the right foot. me: ..but feet are not bilaterally symmetrical are they? 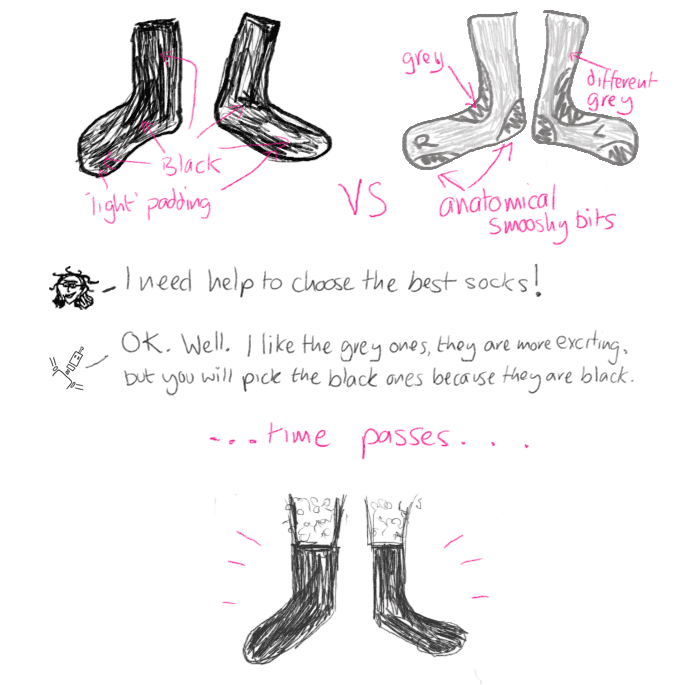 So it does make sense to have differenty shaped socks. him: Well I can’t spell that. I would use too many Rs and then there would be NONE LEFT for ….. RRRRRUMPY PUMPY! Previous PostSucker Punch – delve into THE MAKING OF! !